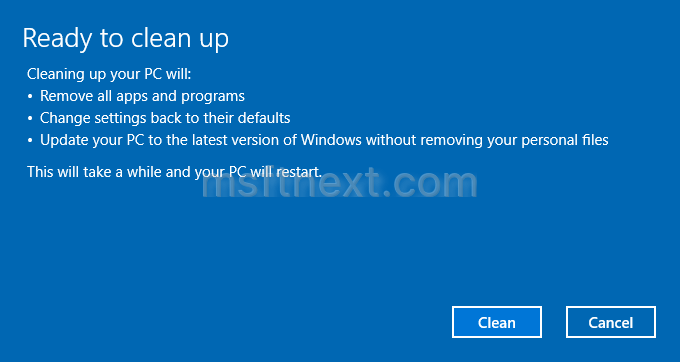 This post explains how to delete downloaded Windows Update files in Windows 10. This is useful when you run into issues with updates. Windows 10 Creators Update is the upcoming major update to Windows 10. It will add plenty of new features to the operating system. One of them is Clean Up PC, a new Reset option. Before Windows 10 Creators Update, Windows 10 had only two reset options - Refresh/Keep my files and Reset/Remove everything.